A working vintage Apple-1 computer sold Friday for $374,500 at a Sotheby’s auction in New York where a memo written by the late Apple co-founder Steve Jobs also went for $27,500. Both went to undisclosed individuals. The selling price of the Apple-1 was a record for an Apple-1, according to Computerworld. One sold nearly two years ago at a Christie’s auction in London for $213,000. In 2010, one of the vintage computers was sold for $160,000. 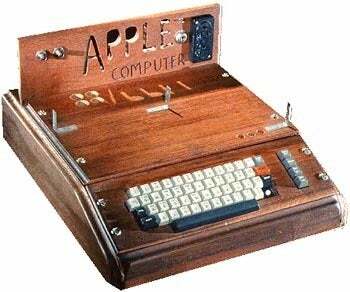 At its release in 1976, the Apple-1 cost $666.66. The computer is one of fewer than 50 Apple-I computers believed to still exist; of them, only a half dozen are known to still work. “When Steve Wozniak and Steve Jobs presented the Apple 1 Computer to the Homebrew Computer Club in 1976, it was dismissed by everyone but Paul Terrell, the owner of a chain of stores called Byte Shop. Terrell ordered 50 computers for $500 apiece, insisting that the circuit boards come fully assembled rather than as DIY kits similar to the Altair, and Jobs and Woz managed to produce the requisite computers in 30 days,” reads the note, which goes on to say the duo then made 50 more for friends and 100 more to sell at retail for $666.66. And yes, according to the note, some people were worried about all those sixes. Whoever won the 36-year-old computer will take delivery of an Apple I motherboard, an original cassette interface (cassette tapes were used to store programs and data), some marketing materials and manuals, including a rare BASIC user's manual. As for the four page memo and one-page addendum that someone snagged for the price you could buy a new vehicle, it was penned by Jobs in 1974 during a brief stint with game-maker Atari, and outlined his suggestions for improving an arcade game of the time. PCWorld has covered the sales of other notable Apple memorabilia, proving that the love some people have for the company and its products is unbounded. Also see "The Most Collectible PCs of All Time" and, for another look at Apple's early models, "Anatomy of an Icon:Inside the Apple IIc."